I decided to take the Ben Burr trail home during last night’s commute. 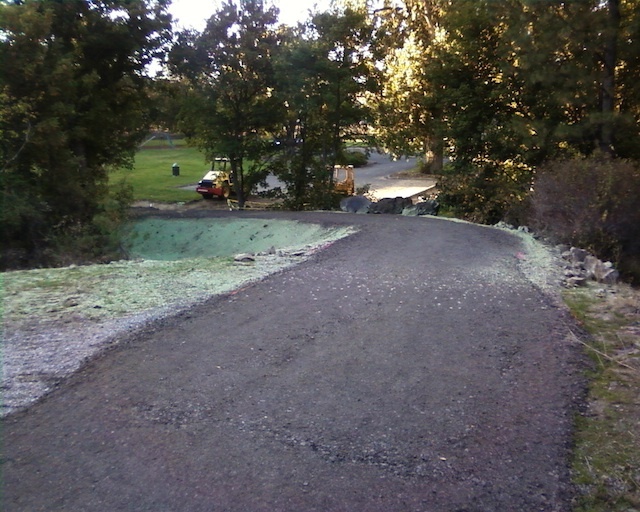 Turns out that a much more accessible trailhead in Liberty Park is just about finished. 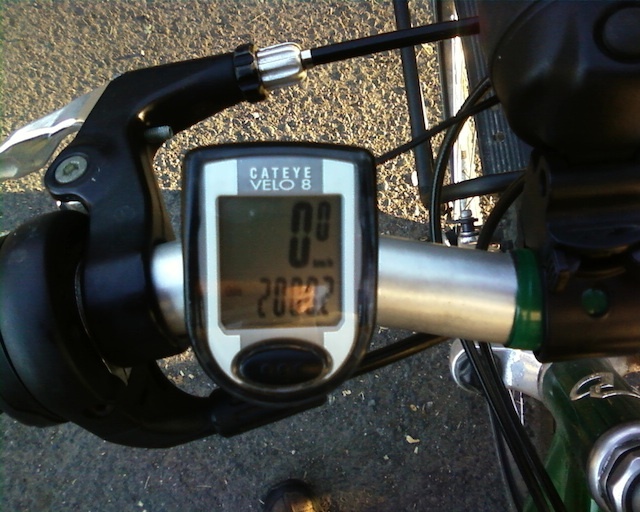 I also hit the 2000 km mark on my Trek just before 16th so I stopped to take a picture that ended up being good other than for the numbers in question. That’s strictly for the Trek though. Total measured distance for the year is just over 3400 km. That includes a fair amount of riding on the Univega, a little bit of walking and running and no data prior to March. 2010 has definitely featured the most exercise for me since 1990 and is a big reason I’m nearly back under 180 lbs again for the first since the early 90s as well.